Iraqi forces push into ISIL-held southern Mosul – Kenyatta University TV (KUTV). All Rights Reserved. Iraqi security forces have pushed into the southern outskirts of Mosul on the second day of a new offensive to drive ISIL fighters from the city’s western half, as US Secretary of Defense Jim Mattis arrived in Baghdad on an unannounced visit. 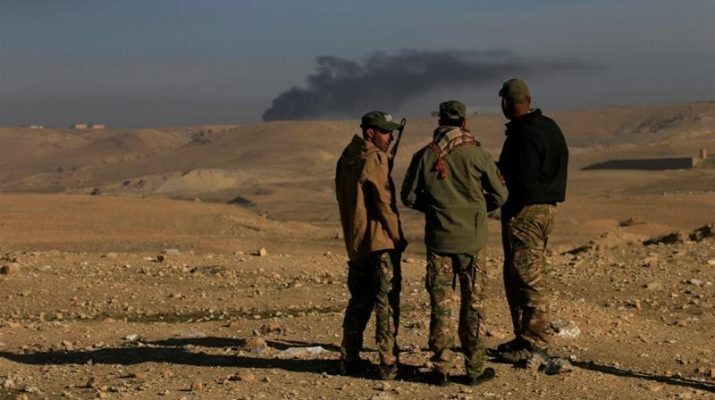 Iraqi forces backed by jets and helicopters battled their way to Mosul airport on Monday as they prepared to take on the Islamic State of Iraq and the Levant group’s stronghold in the city’s west bank. “The federal police has resumed its advance… Our cannons are targeting Daesh defence lines with heavy fire,” federal police chief Raed Shaker Jawdat said, using and Arabic acronym for ISIL, also known as ISIS. The main focus of Monday’s operations was to secure an area south of the Al-Buseif airport. “It’s a strategic location because it is on a hill. We have to seize today because ISIL fighters can fight back from there,” Jawdat told AFP news agency near the front line. Counter-Terrorism Service (CTS), who have urban warfare experience and did most of the fighting in east Mosul, were seen heading across the desert to the western side of Mosul. They are expected to breach the densely-populated western part of the city once other forces have moved all the way up to Mosul’s limits. ISIL fighters defending Mosul’s west bank have no choice but to protect their bastion. Bridges across the Tigris in the city have been destroyed and Iraqi forces have cut off escape routes. Meanwhile, Iraqi police forces in armoured vehicles were moving toward the sprawling Ghazlani military base on the southwestern outskirts of the city according to the AP news agency. Backed by aerial support from the US-led international coalition, Iraqi police, CTS and regular army troops launched an offensive on Sunday to retake western Mosul from ISIL following a 100-day campaign that pushed the fighters from the eastern half of the city. The Iraqi forces said they had seized 17 villages from ISIL on Sunday, according to top army commander Abdulamir Yarallah.